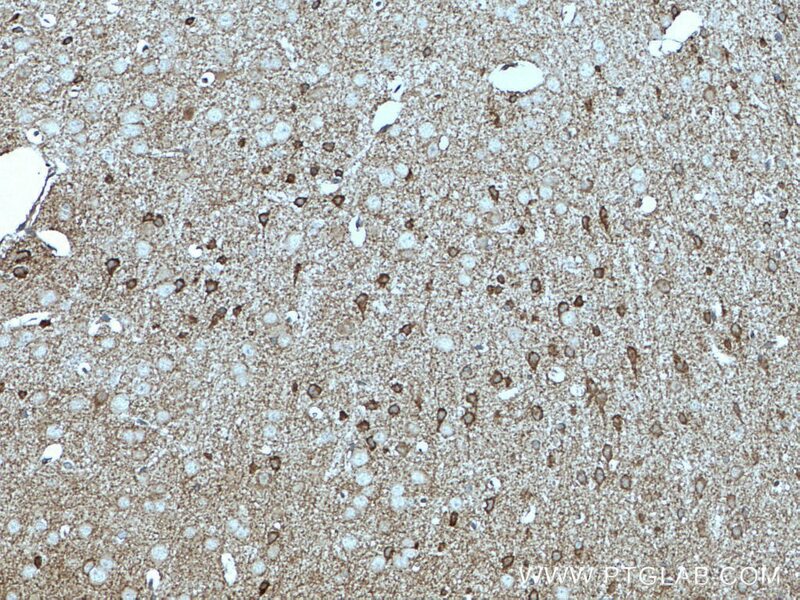 IP Result of anti-GAD65 (IP:21760-1-AP, 3ug; Detection:21760-1-AP 1:300) with rat brain tissue lysate 4000ug. 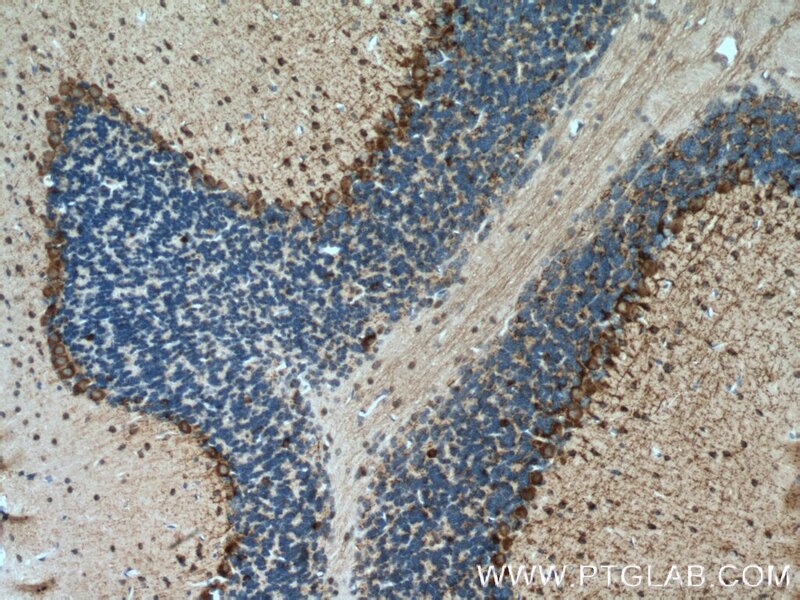 Immunohistochemical analysis of paraffin-embedded mouse brain tissue slide using 21760-1-AP (GAD65 antibody) at dilution of 1:200 (under 10x lens) heat mediated antigen retrieved with Tris-EDTA buffer(pH9). 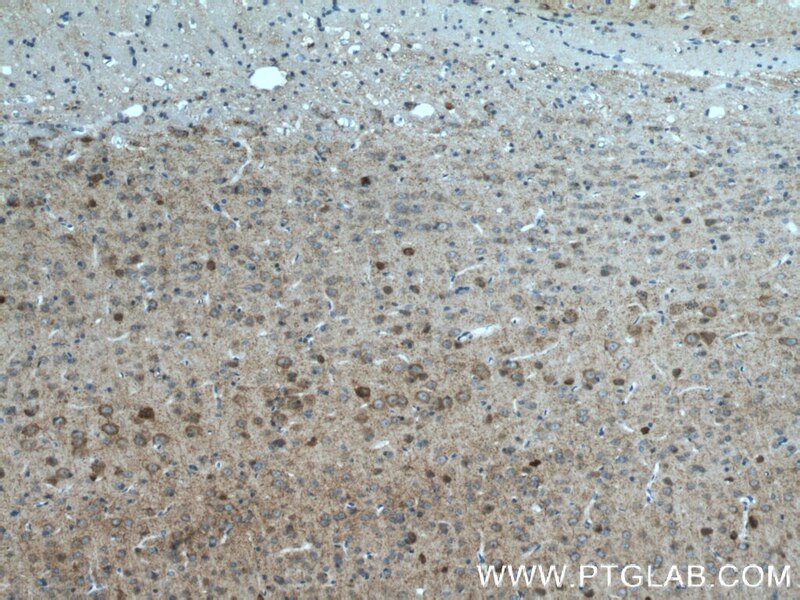 Immunohistochemical analysis of paraffin-embedded mouse brain tissue slide using 21760-1-AP (GAD65 antibody) at dilution of 1:200 (under 40x lens) heat mediated antigen retrieved with Tris-EDTA buffer(pH9). GAD2, also named as GAD65, belongs to the group II decarboxylase family. 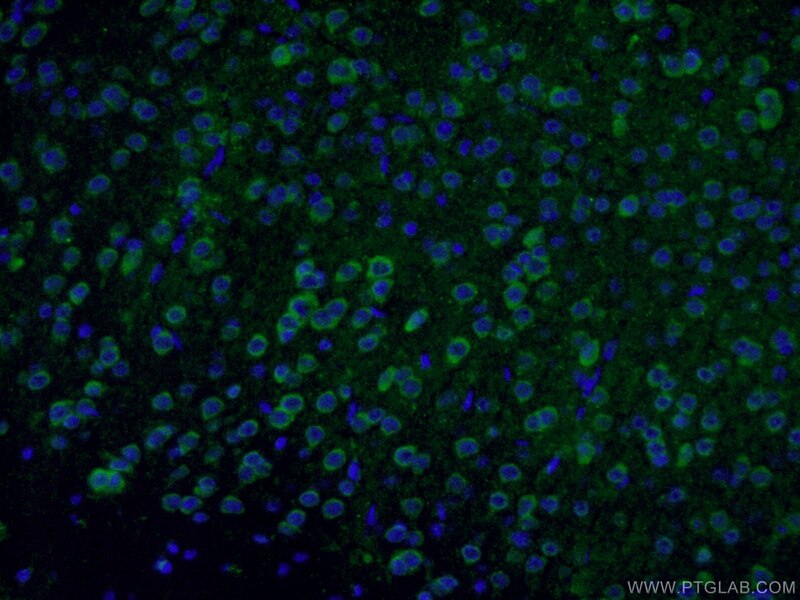 GAD2 catalyzes the production of GABA. 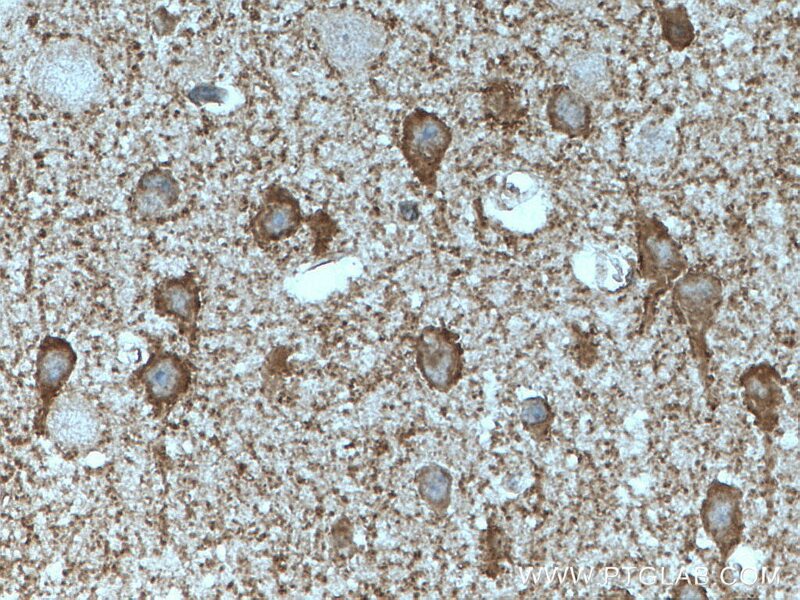 It is responsible for the synthesis of the essential neurotransmitter gamma-aminobutyric acid (GABA) from L-glutamic acid. 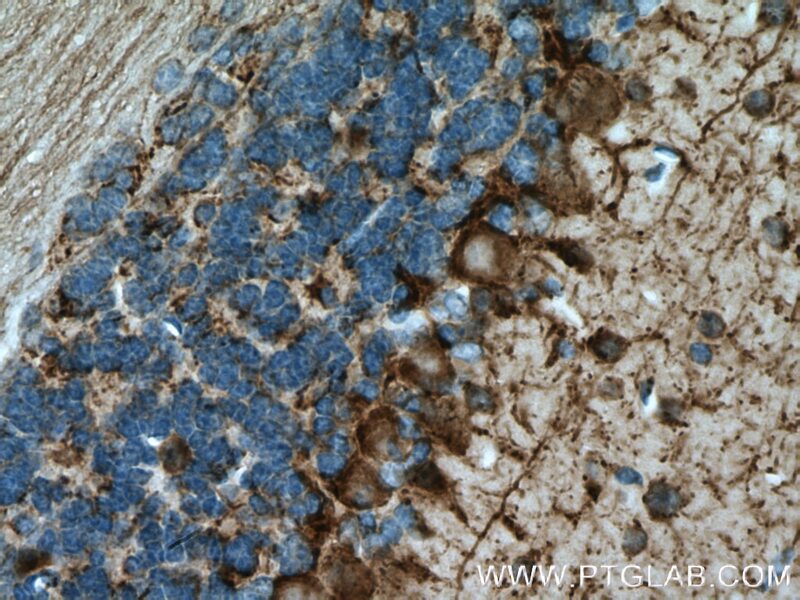 GAD2 is expressed in nervous and endocrine systems and are thought to be involved in synaptic transmission and insulin secretion. 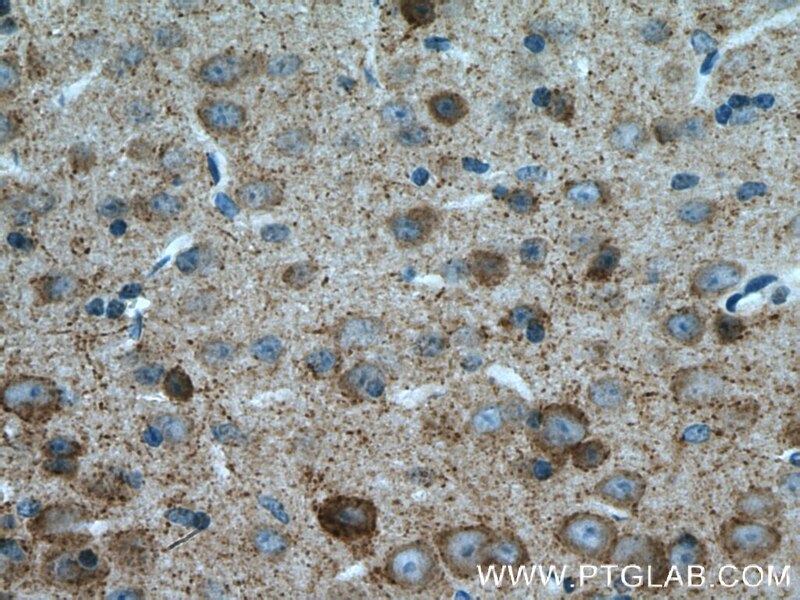 Autoantibodies against GAD2 may serve as markers for type I diabetes. Many individuals suffering from an adult onset disorder known as Stiff Person Syndrome (SPS) also express autoantibodies to GAD2. 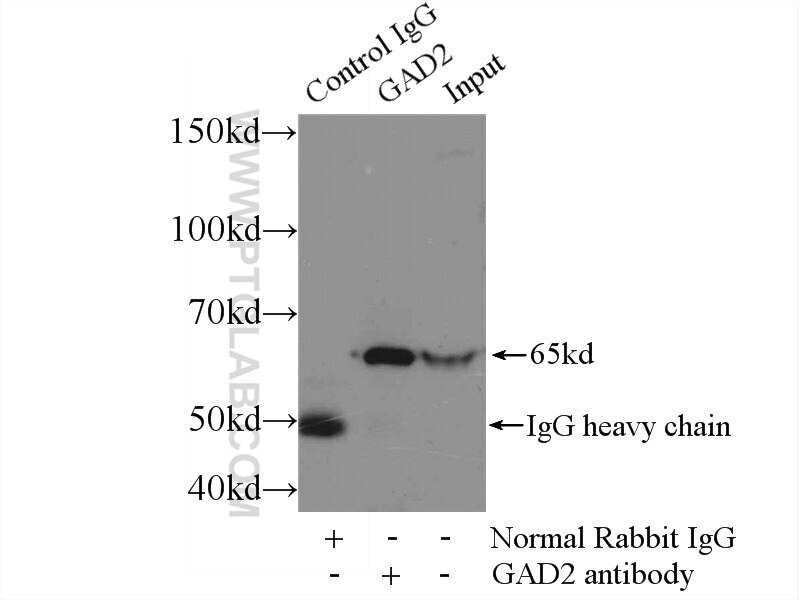 The antibody is specific to GAD2. Inhibition of Cdk5 rejuvenates inhibitory circuits and restores experience-dependent plasticity in adult visual cortex. 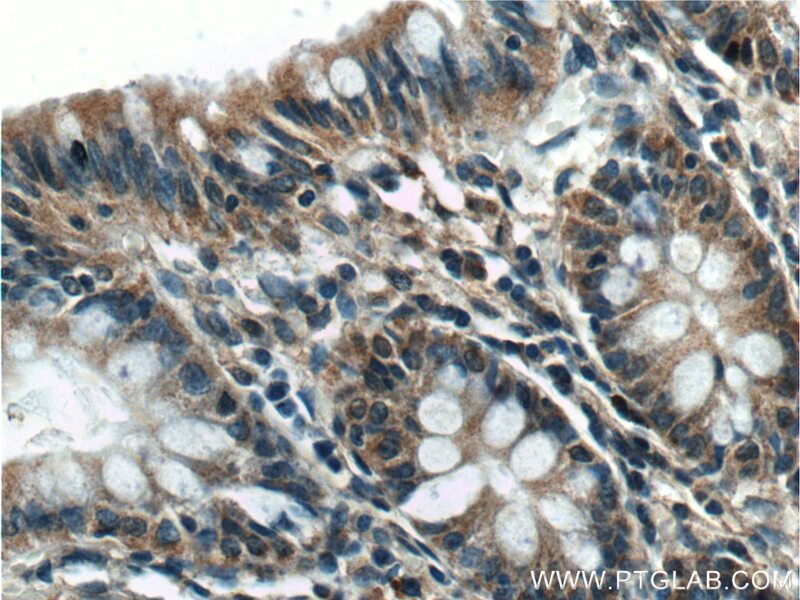 Immunohistochemical analysis of paraffin-embedded human colon tissue slide using 21760-1-AP( GAD65 antibody at dilution of 1:200 (under 10x lens). 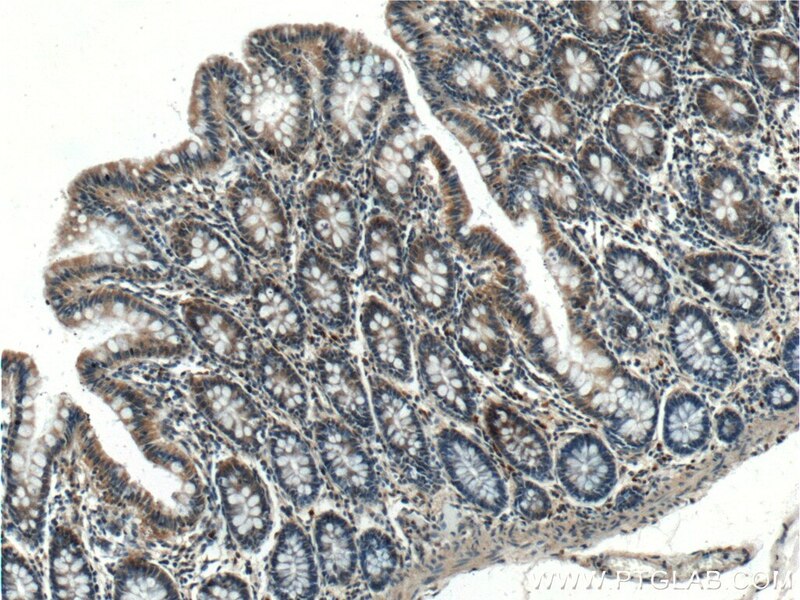 Immunohistochemical analysis of paraffin-embedded human colon tissue slide using 21760-1-AP( GAD65 antibody at dilution of 1:200 (under 40x lens).